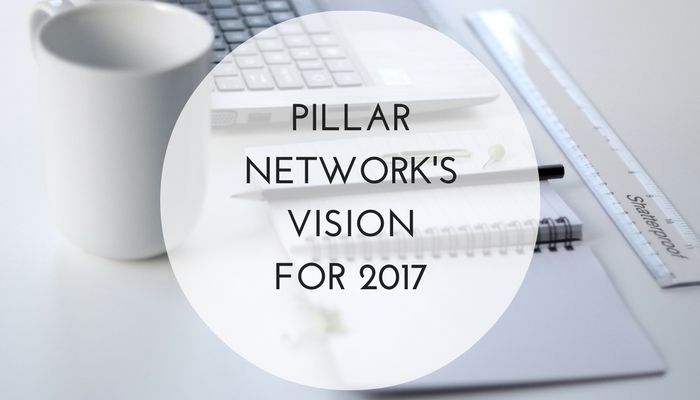 As 2016 draws to an end and the pages turn toward 2017, I’m left reflecting on this past year and dreaming about the future of the Pillar Network. A new year marks a prime time for both evaluation and vision.2016 has been a year where the pastors of our network have helped clarify the purpose and identity of our network. Will we be a collection of churches that are intricately connected by first tier relationships to a selection of founding churches, or will we strive toward becoming a nationally recognized church-planting network? The first model functions like a family tree, where the churches and pastors are connected via shared relationships. This model, while certainly effective in creating a tight-knit community, can make it challenging from those who are outside of the family to find a way in. The other strives to maintain doctrinal and philosophical like-mindedness while entrusting the vision and mission to the churches in our network to lead, care, and recruit in their geographical region. The Pillar Network is committed to maintaining our distinctives that allow us to partner with other like-minded churches within the SBC. We feel the time has come to provide a national model of association within the convention that maximizes stewardship, equips the next generation of leaders, and focuses cooperative efforts toward church planting and revitalization within the convention we love. As a kid, I was always a dreamer. I was encouraged to dream big. Some of my dreams were unrealistic (fly-superhero style, professional athlete), but many of them have come to fruition by God’s grace and kindness (Graduate high school/college/seminary, get married, have kids). I’ve found that vision for the future often starts with a bit of dreaming. The more you dream, strategize, seek wisdom, and beg God to move in spite of personal sin and weakness, God is capable taking a dream and making it into something better then we could fathom. I also have come to realize that God alone is our builder (Psalm 127:1), and when I try and exert my craftiness and cleverness it often is fruitless. Submit ourselves and our churches to God, who alone builds his church on the cornerstone of the Lord and Savior Jesus Christ. It is my prayer for our churches and our network that our dreams remain centered on bringing glory to God alone rather than exalting our personal agendas. Love and Care for those that God has entrusted to us. As our churches grow and our network expands our leadership recognizes that we must give away the responsibility by trusting the next generation of leaders to love and care well for pastors/planters in our network. Our network will only grow as deep and as wide as we are able to love, care, and encourage those that God has entrusted to us. Equip and Resource our network to raise up the next generation of leaders and influence local churches toward kingdom cooperation and multiplication. As our network entrusts our pastors to lead all throughout North America, we desire to provide resources that will enable them to demonstrate love, care, and create a culture of influence that will benefit and move churches toward cooperating together to plant and revitalize churches that are in decline. Kingdom Collaboration must define our churches more in 2017 than ever before. It is my prayer and hope that every member, leader, intern, resident, spouse, planter, and pastor finds a role within our network that prioritizes kingdom cooperation and allows the gifts and resources of those volunteering their time to benefit our equipping, planting, and revitalization efforts. I want to thank each of our churches for the opportunity to serve you in 2016 and I look forward to serving each of you in 2017. May this be a year where we more deeply love and serve our Savior Jesus Christ and the churches God has entrusted to our care and support!